ShortScale :: View topic - Orange O Bass? Posted: Wed Jan 04, 2017 9:52 am Post subject: Orange O Bass? Also available with black pickguard or in black. �269 at Dawson's. I'm not likely to buy one ever, it just took me by surprise. 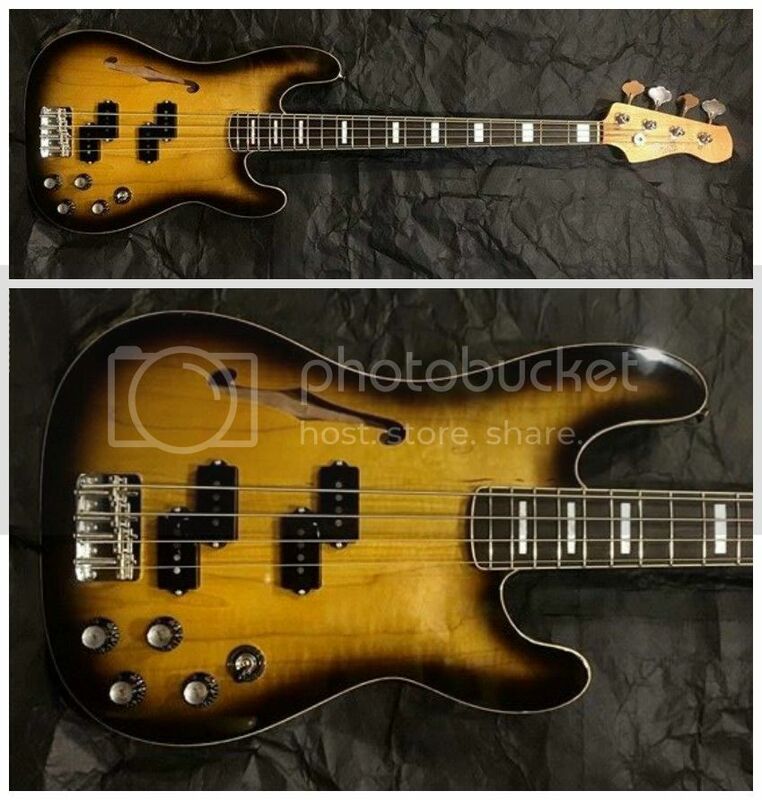 Posted: Wed Jan 04, 2017 10:15 am Post subject: Re: Orange O Bass? Me neither but I think the black one looks pretty decent. So he wanted something that would sound classic except for they moved the pickup "forward" 8 mm to make it sound amazing. Yeah I myself can get irked when I hear "front pickup" and "back pickup", as if there's a dedicated magnet for your fetus to use, or something. On a related note, YJ came up with his Double P model with a pickup slightly closer to the neck (to make room for the other one) + 1960s Les Paul wiring for NAMM 2016, and it became quite a hit for those who could afford it. Even though he winds his split coils to a vintage-correct 10.5k, when picked it has a really meaty midrange with plenty of upper end, but also with massive huevos galore. With just the forward pickup and some finger thumping (on the flatwound version) it's the most perfect dub tone, round and fat. This one will be at our booth this year (#2991), so if any of you will be at the show, do drop by and mess about with it. It's a great bass, and really lightweight from the chambering. Is presently strung up with DR Pure Blues, though YJ might put on some flats for the show.